Venezuela officially has its own cryptocurrency – and its president wants some of the country’s state-owned businesses to use it. According to a recording posted on Twitter by television network VTV, Venezuelan President Nicolas Maduro has ordered several state-owned companies to convert a percentage of their sales and purchases into the petro. “I gave the order to the company PDVSA, Pequiven and CVG to realize as of today a percentage of their sales and purchases in…the Petro,” Maduro said (according to a rough translation) during the petro pre-sale announcement. PDVSA is a state-owned oil and natural gas company which, in addition to the Venezuelan government, is also the target of U.S. sanctions. Pequiven is a petrochemical company, and Corporacion Venezolana de Guyana (CVG) is a decentralized conglomerate whose subsidiaries include aluminium and gold producers. Maduro also said that citizens will be able to pay for fuel, airline and tourism services with cryptocurrencies, including the petro. Likewise, the government previously promised to accept petros for the payment of national taxes, fees and other public services. And as the cryptocurrency world adjusts to the idea of a state-backed coin, it appears that the Maduro government is moving to launch another one already. 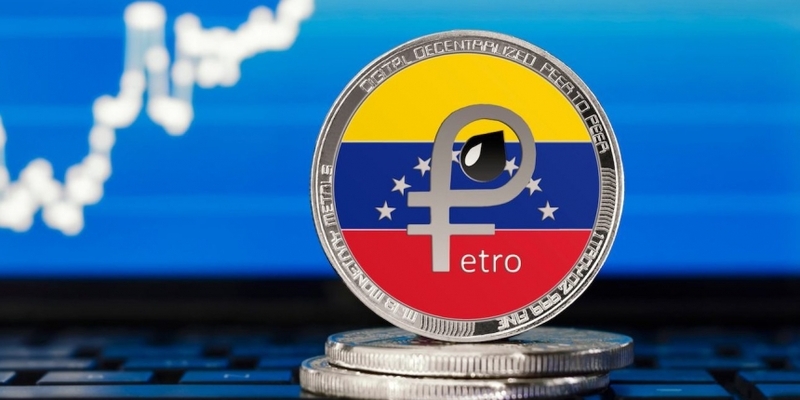 Just one day after the commencement of the controversial petro pre-sale, Maduro made waves once again, announcing that he plans to unveil a second cryptocurrency next week: the petro gold. “Next week I’m going to launch the petro gold, backed by gold, which is even more powerful, that will strengthen the petro,” Vice quoted Maduro as saying in a Wednesday speech. He has yet to divulge further details, and it is unclear as to whether the president was referring to gold held by Venezuela’s central bank or its gold natural resources.